Today we have the new GeIL Super Luce RGB memory kit (PN: GLS416GB3600C16ADC) something which has been a long time in the process. We were testing a batch of memory and our test motherboard decided it had enough, which admittedly it served well beyond the duty I would expect. With that being said we rebuilt a nice modern platform and integrated a similar testbench to our existing GPU testbench for even more continuity in our testing platforms as a whole. Now first and foremost when talking memory most people are familiar with the major stalwart in memory. This would be the likes of Corsair, GSkill, Kingston (HyperX), and Crucial (Micron). There are actually tons of memory companies and some much more prevalent than others. GeIL has been known to make some memory kits that range from docile to extreme with some being super overclockable. Let’s see what the new GeIL Super Luce RGB have in store for us today. The GeIL Super Luce RGB Sync DDR4-3600 16GB Memory comes to market at $189.99 which can be considered a costly addition to your new rig.. This price when comparing at the time of review is within 15 dollars of similarly spec’d memory below it and having some kits reach up to 80 dollars more. 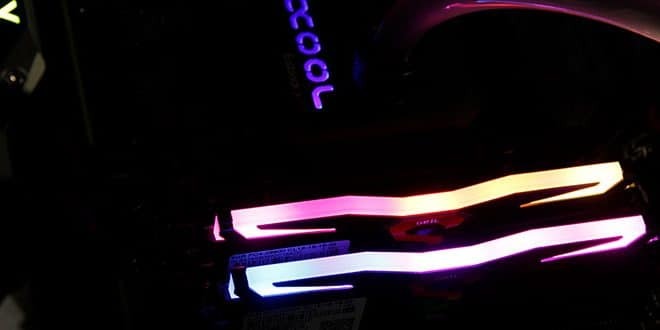 (We’re looking at you Corsair Vengeance RGB Pro and Dominator Platinum RGB) as a matter of fact, the closest RGB kit of the similar spec is the GSkill kit at $15.00 more. but the GSkill kit does have slightly tighter tRCD and tRP. 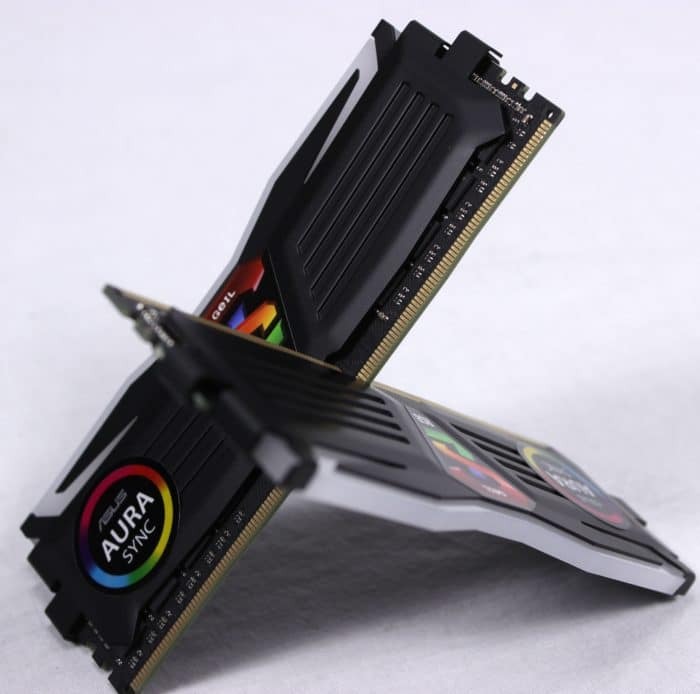 Fully compatible with ASUS, Gigabyte, MSI and ASRock RGB motherboard software which allows the memory to sync with your motherboard lighting configuration. GeIL claims to have a specially designed DYNA 4 SLT testing which will ensure better reliability and compatibility. With those out of the way now let’s check out the new GeIL Super Luce RGB DIMMS.